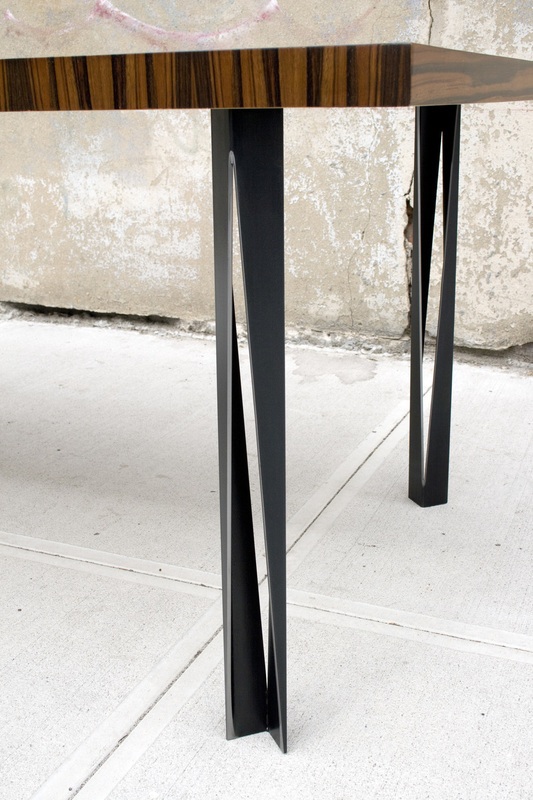 This dining table features the same legs as the Ceruse Dining Table but has a different top. 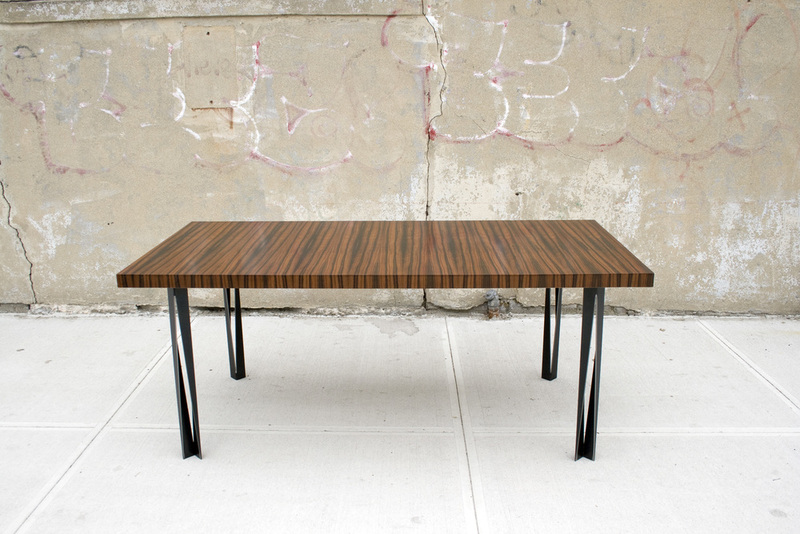 The top is a Macassar Ebony veneer, and is finished with a hardened lacquer. Macassar Ebony veneer top. Steel legs.